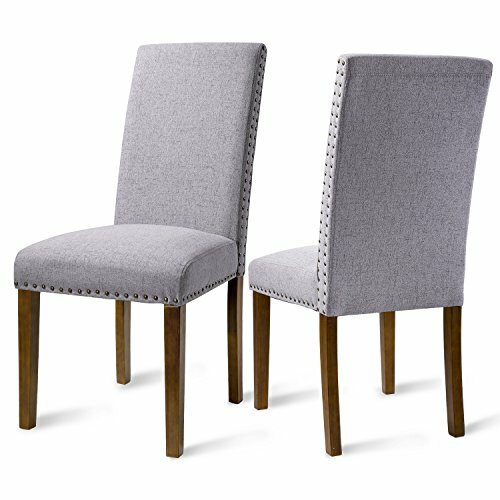 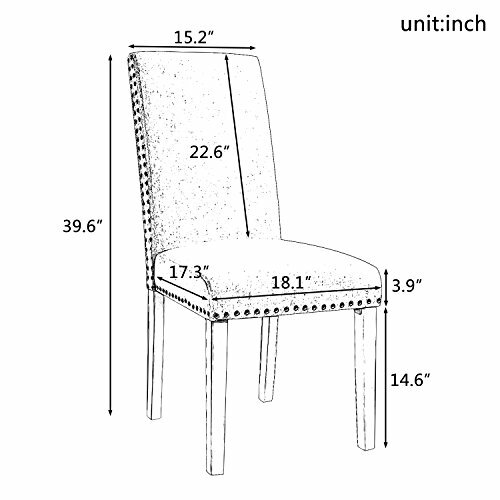 This brand new Merax dining chairs bring elegant simplicity to your dining area or sitting room. 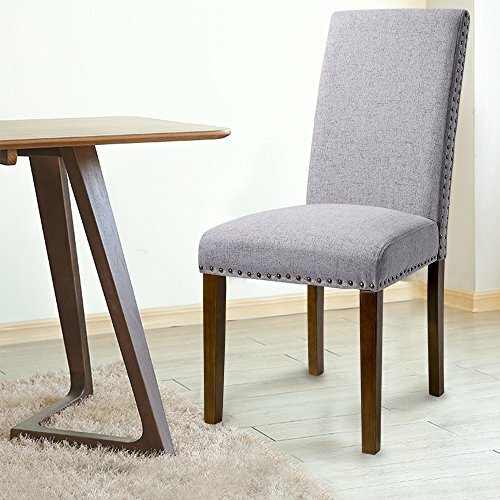 The soft fabric of the upholstered seat along with the brown-washed finish of the wood legs make this a noteworthy seating solution for your home. 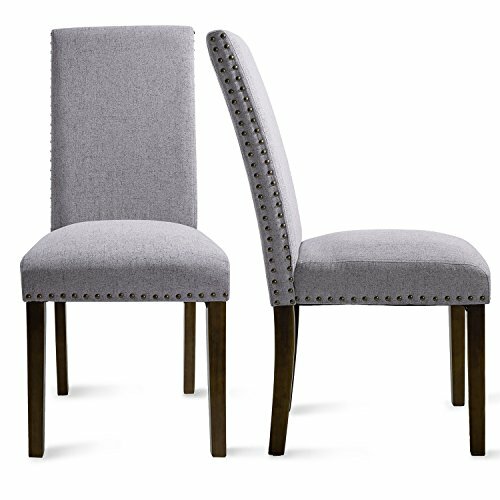 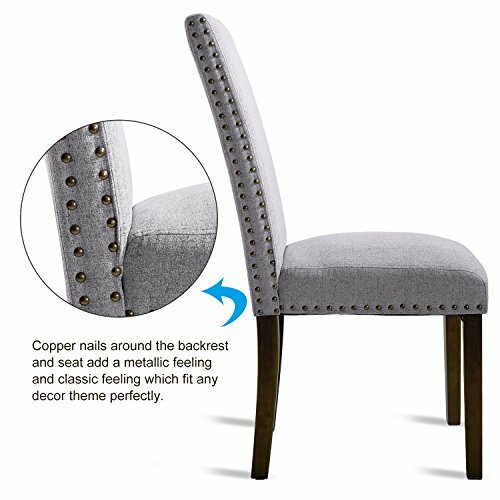 Position the chairs around your breakfast table to inject subtle elegance into the space, or place multiple sets of these chairs around your dining room table to create a warm, welcoming environment for your guests. 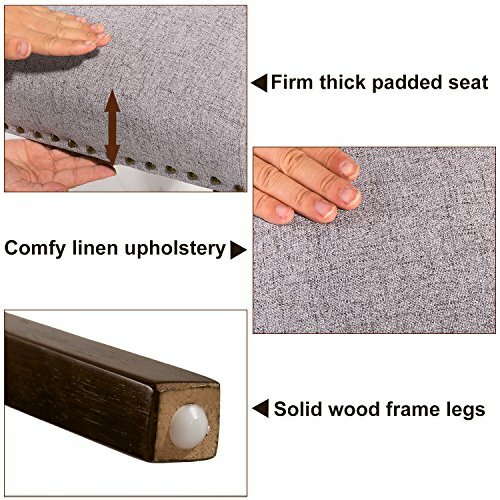 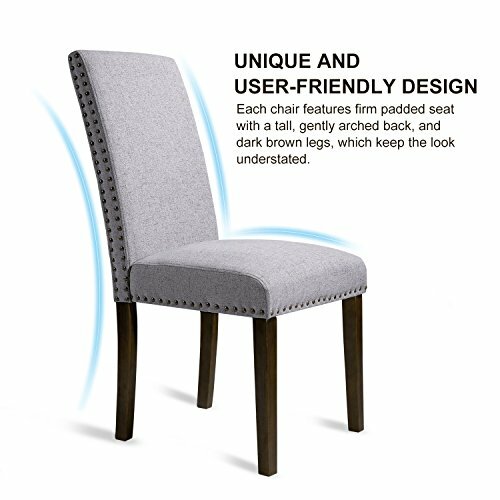 Designed with heavy-duty hardwood frame for optimum support, with expertly smoothed chestnut wood exposed legs; legs are stored underneath the seat bottom during packaging for your convenience when assembling.